The world may be moving to some awesome music streaming services or even streaming music off YouTube, but a lot of people have a large music collection stored offline. That's why having a good music player on your Windows machine is useful. Windows comes with Windows Media Player, which is a pretty decent app except for its limited file format support. You can install codecs to make it support all the formats you need, but you might as well download any of these awesome music players instead. They have more features than Windows Media Player, such as smart tagging, organisation, downloading lyrics off the Internet, and better customisability, among others. Here are the best free music players for Windows. 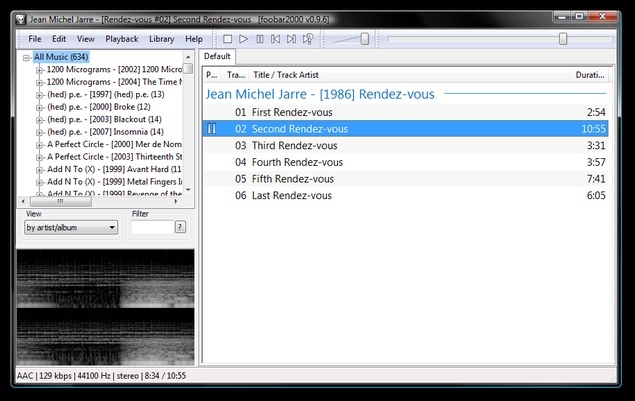 Foobar2000 is one of the lightest music players you can download with an install size of just 3MB. If you just want a lightweight player that'll play your songs, Foobar2000 is the perfect barebones app for you. It's highly customisable, you can add a lot of features from advanced playback controls to audio encoding. Check out all these components here. Winamp's ownership has changed hands recently so the player isn't available off the official site at the moment. It's expected to be back sometime this year, but an unofficial site lets you download it. 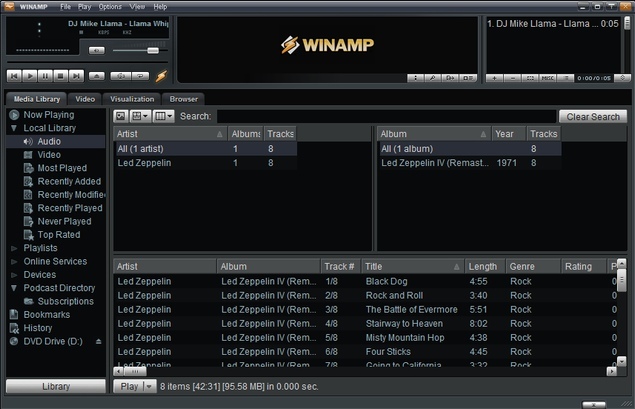 Winamp is one of our favourite music players because it handles large music libraries with lots of playlists very well. Also has a tonne of skins if you want a different look for the player. If you're a Winamp fan looking for an excellent music player that's under active development, MusicBee is a great choice. It combines Winamp's excellence at handling large libraries with some nice features such as support for plugins, including Winamp plugins. It automatically pulls lyrics for songs, lets you create smart playlists based on filters and is also a good podcast manager. If you don't like iTunes on Windows, MediaMonkey is a better alternative to sync music on your iOS devices. 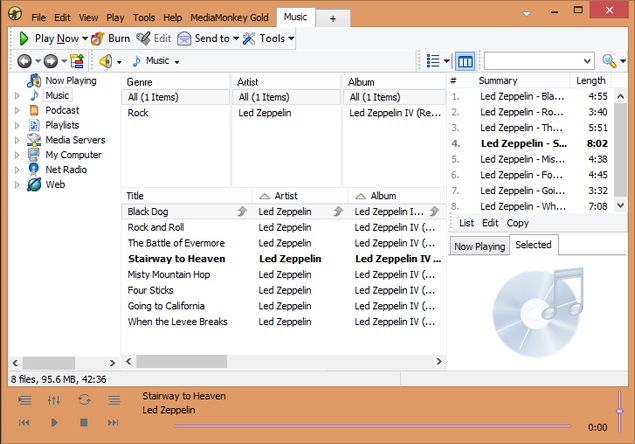 While MediaMonkey's free version is a pretty good music player, most of its premium features such as smart playlists and automatic library organisation are available in MusicBee for free. We've been using MediaMonkey for a while and recommend it for anyone who needs an app that can manage a large collection and sync with iOS devices. These music players are the best for Windows but there are two more you should try. VLC is excellent for playing movies and does a reasonably good job as a music player too. If you don't want to install an extra app, it could work for you. 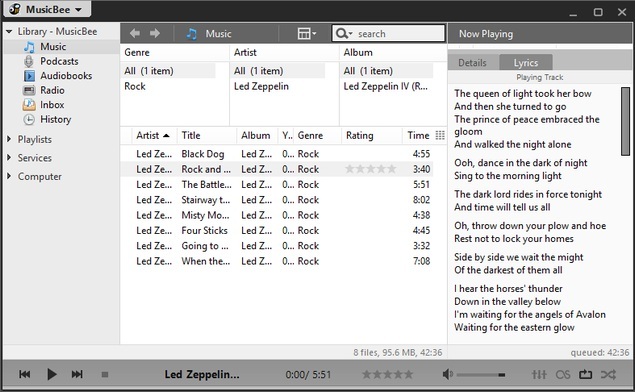 Clementine is another good music player that you can try, but it doesn't have any features that our picks don't. Everyone loves to hate iTunes for Windows, but it's the best option to manage music on your iOS device, especially if you've purchased songs from the iTunes Store. Which is your favourite music player for Windows? Let us know via the comments.